In March 2015, Chautauqua County, New York was selected as one of eight Communities of Opportunities (COOs) in the country with significant potential to strengthen ties between small- and medium-sized farmers and residents with limited food access. Working with the Growing Food Connections (GFC) project team, county stakeholders have since established a steering committee that has charted a vision for the future of Chautauqua’s food system. This brief, which draws on interviews with Chautauqua County stakeholders and secondary data sources, provides information about local government policy opportunities and challenges in the food system to inform the work of the GFC steering committee and stakeholders in Chautauqua County. Today, Chautauqua County faces a shrinking and aging population, declining industry and manufacturing, and stagnant low household incomes. Nearly 20,000 people have left the county over the last 40 years, reducing the population to 133,556.4 The unemployment rate for the county is approximately 6.1%, consistent with the New York state average, but is significantly higher (18%) for young people and minority populations.5 In line with the rest of the rustbelt region, the county experienced a loss of manufacturing jobs and a steady decline in the percentage of the labor force employed in the manufacturing industry.6 Unemployment also varies seasonally, being higher in winter months and lower in summer months.7 The education and health-care industries, similar to statewide averages, employ the largest percentage of the workforce (27.7%), and manufacturing jobs comprise 17.4% of employment, significantly higher than the statewide average of 6.6%.4 Employment in agriculture, forestry, and fishing in the county (2.5%) is also higher than the statewide average (0.6%), positioning the county to leverage food and agriculture as a form of economic development in response to the stagnant manufacturing and industrial economy. The poverty rate in Chautauqua County has risen steadily over the last 15 years. Nearly 20% of the population lives below the poverty line, and the percentage of families in poverty is higher for families with children younger than five years old (37.1%) and for single mothers with children younger than five years old (67.4%).4 The median household income for the county ($42,429) is well below the state median ($58,003).8 Although home ownership is common (69.1%), the median value of housing units ($83,500) is also significantly below the state median ($288,200).8 The county is 94% white, but there has been a recent minor demographic shift. Hispanic and Latino people comprise 6.8% of the population, a proportion that has slightly increased in the past two decades.8 Black people comprise 2.7% of the population.8 Other minority groups include growing Amish communities and a small Native American population. Food insecurity is a pressing concern for many residents in Chautauqua County. Estimates suggest that in 2014, 13% of the county’s population (17,300 residents) was food insecure.9 Food insecurity is highest among senior citizens, people living on bordering reservations, and minority populations.10 Over one-third (34.79%) of students in the county are also eligible for the National School Lunch program.11 Community stakeholders report that people with limited or fixed incomes struggle to afford nutritious food. Numerous civic organizations are currently combating hunger and food insecurity through a vast network of food pantries and other social safety-net programs. The St. Susan Center runs a soup kitchen in the city of Jamestown, and additional food pantries are supported by the Food Bank of Western New York. Chautauqua County Rural Ministry (CCRM) offers cooking and nutrition classes, community garden space, and emergency food support in addition to other human-needs services. In addition, the county has a rich tradition of residents acquiring their own food through growing, hunting, and fishing as well as sharing food with neighbors and the community at large. Within the city of Jamestown, interest in community gardens is growing as well and is supported by the Jamestown Renaissance Corporation (JRC), a public private organization. CCRM partners with Cornell Cooperative Extension and numerous area farmers to organize the Chautauqua County Gleaning Project. The project has harvested over 650,000 pounds of food since 1999 in an effort to decrease both food insecurity and food waste. Three deer-meat processors in the county partner with the Venison Donation Coalition to process deer free of charge for hunters who are willing to donate the meat to the Food Bank of Western New York. 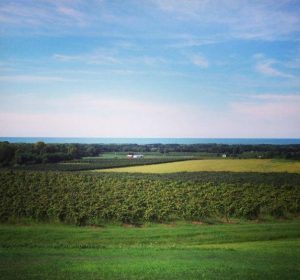 Chautauqua County is known for extensive grape acreage in the northern part of the county and numerous dairy farms (below) in the southern part of the county. 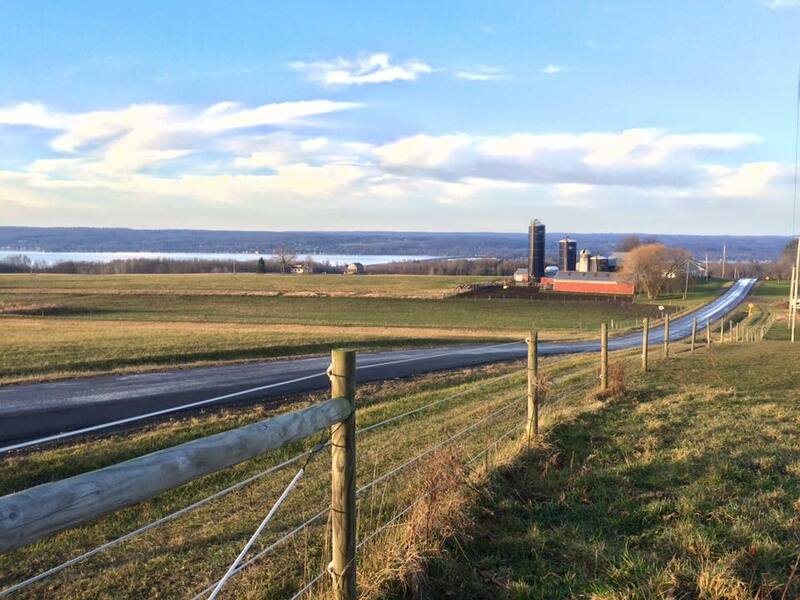 Chautauqua County is fortunate to have local governments engaged in protecting and supporting their valuable agricultural assets while providing opportunities for access to healthy and affordable food for low-income families. Chautauqua County is governed by a county-wide government that is home to 17 smaller municipal governments and 27 township governments. In addition, 18 school districts and 21 special district governments contribute to the 84 total governments operating within the county.30 The local government has responded to efforts by community-led civic organizations and private entrepreneurs to leverage its natural and agricultural resources to strengthen the food system. Community-led efforts to improve the food system include the pilot implementation of a Healthy Corner Stores initiative, initiatives to accept EBT, SNAP, and Double Up Food Bucks at farmers’ markets, farm-to-institution programs, and the creation of community and school gardens. Funding secured by the Chautauqua County Health Network (CCHN), through a New York State Creating Healthy Places to Live, Work, and Play grant and, more recently, a Creating Healthy Schools and Communities grant, has supported staffing for healthy community initiatives. Additionally, private entrepreneurs such as CHQ Local, a small scale aggregation business, have begun innovative efforts to procure healthy foods from local farmers for area restaurants and customers. The local government has partnered on many of the community led efforts described above. The Jamestown Renaissance Corporation (JRC), for example, a public-private partnership established in 2006 focused on revitalizing Jamestown, runs several programs focused on food. 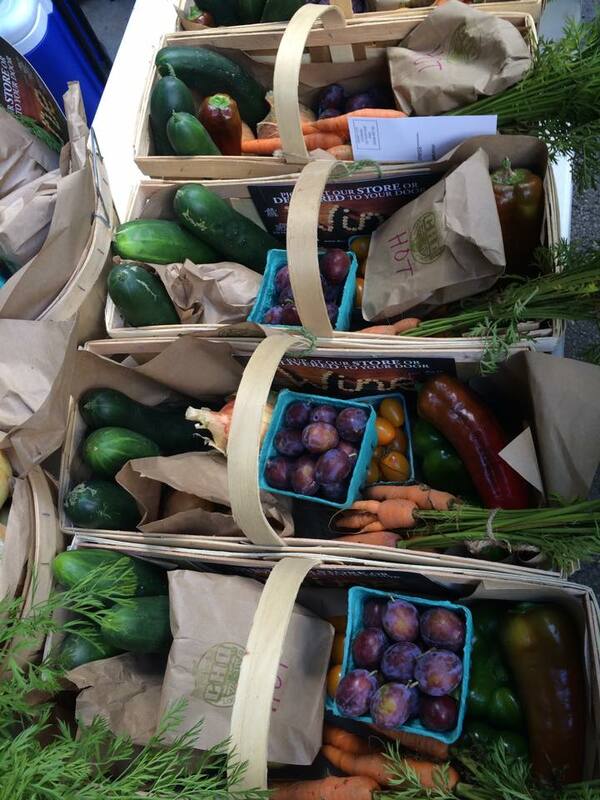 JRC supports a downtown farmers’ market that features local produce and has made a significant effort to increase accessibility to the market for people of all income levels. For example, the JRC offers discounted public transit fares for residents who use public transportation to visit the farmers’ market. Expansion of payment options at the downtown farmers’ market has led to the market having one of the highest SNAP redemption rates in the tri-county area. Concerted effort to respond to the needs of customers has steadily increased the number of people purchasing healthy food directly from local farmers. JRC also supports community gardens, by leasing privately owned land for three community gardens and renting garden beds to residents for modest annual fees. The Chautauqua County government also has numerous policy and planning initiatives that impact the food system. Two government-sanctioned, county-wide planning projects directly address food and agriculture. The Chautauqua 20/20 Comprehensive Plan, created by the Chautauqua County Department of Planning and Economic Development, the Chautauqua County Planning Board, and the Legislative Comprehensive Plan Task Force, provides dedicated guidance to food and agriculture as a part of the local economy. Direction for this section of the plan was informed by members of The Agriculture/Foods Focus Group, who outlined 11 policy actions, including strengthening agricultural districts, supporting local right-to-farm legislation, and implementing agricultural zoning. Although several of this comprehensive plan’s recommendations can promote agricultural viability, they offer limited strategies for alleviating food insecurity in the county.17 Chautauqua also has a county-wide, comprehensive Agriculture and Farmland Protection Plan, adopted in 2000, which outlines protection of farm and forest land, support for farming as a profitable industry, and retention and development for agribusinesses in the county.1 In addition, the county participates in the state’s first agriculturally inspired heritage management plan, the Concord Grape Belt: Heritage Area Management Plan (2010), funded by New York state, which outlines strategies for preserving the region’s grape heritage and industry along the shores of Lake Erie. 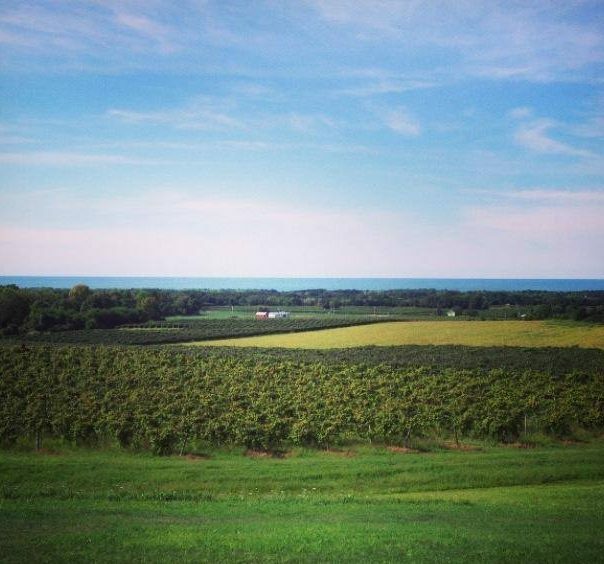 Some of these initiatives, including the creation of the Grape Discovery Center, receive support through Chautauqua County’s 5% occupancy tax on hotels/motels, which helps to fund the county’s protection of lakes and streams and local tourism efforts.29 Shoring up and implementing existing plans are essential for strengthening food-systems planning efforts throughout the county. 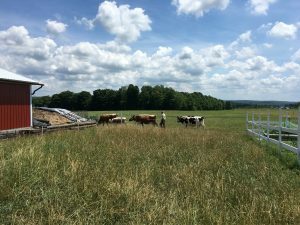 Gifted with natural resources, a culture of resilience, and committed to its agricultural heritage, Chautauqua County is uniquely positioned to cultivate a model rural community food system. 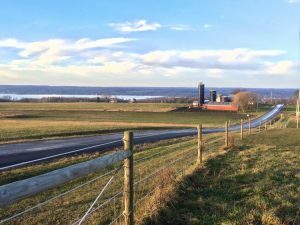 With support from its community leaders, Chautauqua County can demonstrate how rural counties can create a policy environment where agriculture thrives and residents lead full, healthy lives. Key ideas for future policy and implementation efforts to strengthen food systems are outlined below. The county’s agriculture and farmland protection plan offers a tremendous opportunity for strengthening the county’s food system. The plan is expected to be updated in the near future. Traditionally, such plans focus largely on farmland protection, yet experience from across the country suggests that farmland can be best protected if it is part of a thriving local food system. The updates to the Chautauqua County plan could explicitly address innovative strategies for strengthening the local food system. Such a plan would address the county’s food system: A food system is the soil-to-soil system that enables the production, processing, distribution, acquisition, and consumption of food, and includes the management of excess food and food-related waste. A well functioning and well-integrated food system would enhance the environmental, economic, social, and nutritional health of Chautauqua County. Numerous rural counties across the United States, including Douglas County, Kansas,31 Cabarrus County, North Carolina,32 Marquette County, Michigan, and Cass County, Iowa,33 are using innovative public-policy strategies and may offer potential ideas. Moreover, the future plan has the potential to guide public investments in the food system so that economic returns to the county are amplified. Streamlining the provision of information and resources for food-systems businesses, including farmers, food processors, and food retailers, will create a more favorable environment for the food and agriculture sector to thrive. For example, the geographic separation of federal, state, and local agencies that address agriculture creates fragmented information and disconnected programming in rural areas. Organizations such as the USDA and Cooperative Extension previously shared centralized offices in the county but now are in different locations. For farmers seeking information regarding taxes and permitting, expanding markets, environmental issues relating to farming, and business startup models, having to visit multiple offices creates disjointed and inefficient information sharing.13 Local government agencies could create one-stop shops (including virtual information centers) to ease the regulatory burden on the agriculture and food-system sector. The local government can also amplify the extraordinary work of its agriculture and food industry by investing in infrastructure. Infrastructure investments to ensure the long-term sustainability and success of farmers’ markets, such as an indoor winter market space, are a priority.25 The lack of processing and aggregation facilities is a reported challenge for farmers interested in scaling up to institutional sales and small-batch value-added production. Local government investment in a food hub that includes cold storage, flash freezing, meat and produce processing, a community kitchen, and retail space would catalyze entrepreneurial activity in the food system. Investments in public transportation to existing grocery stores, to improve food access, may alleviate food insecurity. Connecting current public transportation lines to urban retail hubs and creating more bike- and pedestrian-friendly environments surrounding those locations would provide opportunity for low mobility people to access healthy food.14 The local government could also combine its efforts to promote food access with efforts to support the local agricultural industry. For example, grocery stores (that are better connected through public transportation) could be encouraged and incentivized to stock and sell locally grown produce. CHQ Local Food offers a non-traditional Community Supported Agriculture model of food delivery baskets sourced from regional farms and small processors. Chautauqua County has an outstanding share of committed food business entrepreneurs, including farmers, food retailers, and food distributors that move food from field to table and contribute to the county’s economy. With organic farm operations such as Abers Acres, aggregators such as Chautauqua Local Foods, the Chautauqua Produce Auction, and Brigiotta’s Farmland Produce and Garden Center, family-operated grocers that serve urban (Farm Fresh Foods) and rural populations, Cassadaga Shurfine, and farmers’ markets, Chautauqua has the bones of a strong food system. One way to amplify the work of these businesses is to create an online local food-business directory that enables local residents and visitors (including to the Chautauqua Institution) to locate, frequent, and support local businesses. Information in this brief is drawn from multiple sources. Quantitative data sources include the 2014 American Community Survey (ACS) five-year estimates and the 2012 US Census of Agriculture. Qualitative data include 15 in depth interviews with representatives of various sectors of the food system as well as Chautauqua County policymakers and staff. Interviewees are not identified by name but are, instead, shown by the sector that they represent, and are interchangeably referred to as interviewees or stakeholders in the brief. Interviews were conducted from April 2015 to March 2016. Qualitative analysis also includes a review of the policy and planning documents of Chautauqua County, which were reviewed for key policies and laws pertaining to the food system, and a review of the minutes of the Growing Food Connections steering-committee meetings. The GFC team is grateful to the Chautauqua County GFC steering committee, Chautauqua County government officials and staff, and the interview respondents, for generously giving their time and energy to this project. The authors thank colleagues at the Food Systems Planning and Healthy Communities Lab and the School of Architecture and Planning at the University at Buffalo, Ohio State University, Cultivating Healthy Places, the American Farmland Trust, and the American Planning Association, for their support. This work was funded by a grant from the National Institute of Food and Agriculture (NIFA Aware #2012-68004- 19894), and the 3E grant for Built Environment, Health Behaviors, and Health Outcomes from the University at Buffalo. 1 Chautauqua County Agricultural and Farmland Protection Board, Chautauqua County Farmland Protection Plan, Chautauqua County, NY, 2000. 2 W. R. Cutter, Genealogical and Family History of Western New York Vol 2 (New York: Lewis Historical Publishing Company, 1912). 3 A. Gaugnet, “Picturing the Grange: 130 Years,” The Journal of New York Folklore 28, no. Spring-Summer (2002). 4 United States Census Bureau, 2009-2013 5-Year American Community Survey, 2009-2013. County Unemployment Rate. Annual Average, 2015. 6 United States Census Bureau, Census 2000 Summary File of Selected Economic Characteristics, 2000. 7 United States Bureau of Labor Statistics, Unemployment Rate in Chautauqua County, NY. 8 United States Census Bureau, State and County Quickfacts – Chautauqua County, New York, 2014. 9 C. Gunderson, A. Dewey, A. Crumbaugh, M. Kato, E. Engelhard, Map the Meal Gap 2016: Food Insecurity and Child Food Insecurity Estimates at the County Level, Feeding America, 2016. 10 Interview with Local Government Representative in Chautauqua County (ID 06), April 10, 2015. 11 U.S. Department of Education, Food Environment Atlas, National Center for Education Statistics, 2012. 12 Interview with Aggregation Representative in Chautauqua County (ID 10), April 8, 2015. 13 Interview with Local Government Representative in Chautauqua County (ID 01), April 9, 2015. 14 Interview with Local Government Representative in Chautauqua County (ID 07), April 8, 2015. 15 Economic Research Service, Food Environment Atlas, U.S. Department of Agriculture, 2015. 16 N. Attard, T. Gordon, D. Jiang, et al., Invest in Fresh, Chautauqua County Health Network and Department of Urban and Regional Planning, University at Buffalo, 2013. 17 Chautauqua County Department of Planning and Economic Development, Chautauqua 20/20 Comprehensive Plan, Chautauqua County Department of Planning and Economic Development, 2011. 18 United States Department of Agriculture, Census of Agriculture County Summary Highlights, National Agricultural Statistics Services, 2012. 19 United States Department of Agriculture, Census of Agriculture Farms by North American Industry Classification System, National Agricultural Statistics Services, 2012. 20 V. Carlberg, Chautauqua County Local Farm Products Guide, Chautauqua County, Cornell Cooperative Extension of Chautuaqua County. 21 United States Department of Agriculture, Census of Agriculture Net Cash Farm Income of the Operations and Operators, National Agricultural Statistics Services, 2012. 22 U.S. Department of Health and Human Services, Poverty Guidelines, Washington, D.C., 2014. 23 United States Department of Agriculture, Census of Agriculture Market Value of Agricultural Products Sold Including Direct Sales: 2012 and 2007, National Agricultural Statistics Services, 2012. 24 United States Department of Agriculture, Census of Agriculture Hired Farm Labor – Workers and Payroll: 2012, National Agricultural Statistics Services, 2012. 25 Interview with Local Government Representative from Chautauqua County (ID 05), April 8, 2015. 26 United States Department of Agriculture, Census of Agriculture Operator Characteristics, National Agricultural Statistics Services, 2012. 27 Interview with Farming and Agriculture Representative in Chautauqua County (ID 03), April 10, 2015. 28 County Bio Physical Dataset, Statsgo Soils Database TIGER Data, 1997. Occupancy of Hotel or Motel Rooms. Local Law Number 11-13, Chautauqua County, NY, 2013. 30 U. S. C. Bureau, Census of Governments: Local Governments in Individual County-Type Areas, In Finder AF, ed (Washington, D.C., 2012). 31 Z. Fodor, K. Hodgson, “Healthy Food System in the Heartland: Intergovernmental Cooperation in the City of Lawrence and Douglas County, Kansas Advances Food Policy,” In Exploring Stories of Innovation, edited by Hodgson K, Raja S, 3 (Buffalo: Growing Food Connections Project, 2015). 32 K. Hodgson, “Advancing Local Food Policy in a Changing Political Climate: Cabarrus County, NC,” In Exploring Stories of Innovation, edited by Hodgson K, Raja S, 3 (Buffalo: Growing Food Connections Project, 2015).